Megg is a fantastic author of YA books. I've read Anathema and it was amazing! I started writing at the age of seven and was first officially published in 5th grade. I won a national writing competition. If you mean professionally, then I'd admit to getting my first short story published back in 2007 when I was fresh out of college. At the time I was writing fantasy short stories and getting some great feedback. 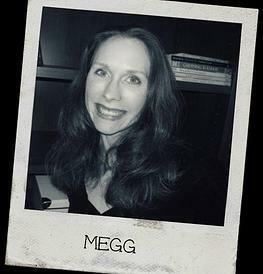 In 2002, with the birth of my daughter, I became a freelance parenting journalist and had over 400 articles published in the next nine years (under my real name, Megg is a pen name). Then I switched to fiction again. It's my first love. YA has such an innocence about it. Even though it can deal with tough subjects, YA has that hope that everything will work out in the end. I read widely. My favorite modern authors are actually thriller novelists James Rollins and the team of Douglas Preston and Lincoln Child. I can't miss a release from these guys. My latest novel is Shucked. It's basically Indiana Jones meets Suburgatory, but on a farm. A girl who has lived across the world with her archaeologist mother is forced to spend the next year living with her grandparents on their farm. There's a lot of crazy stuff that happens (nothing paranormal, it's straight-up contemporary), but I can assure you, it's all possible. My BA is in medieval history, but I minored in anthropology, so I know quite a bit about it. Plus, I grew up on a farm. Shucked is an amalgamation of many odd elements in my life. 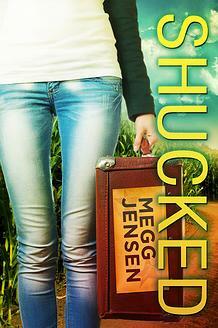 Shucked has been tickling the back of my brain since 2008, but I wanted to focus on fantasy, so I put it aside. When my husband was facing a stressful health challenge earlier this year, I found I couldn't concentrate on my fantasy novel. It was too dark, too overwhelming. Shucked was my light-hearted haven in a very difficult time. Oh no, I haven't! I'd probably giggle and walk away. I can't even imagine that. Shucked was designed by the impeccable Steven Novak. 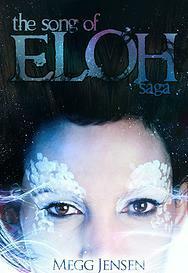 He also redesigned the ebook covers of Anathema, Oubliette, and Severed, as well as original covers for The Initiate and The Song of Eloh Saga. Robin Ludwig made my amazing paperback covers for Anathema, Oubliette, and Severed. PhatPuppy created Sleepers, Afterlife, and The Sundering. For Shucked, I would cast Chloe Moritz as Tabitha and Cole Horibe as Alex. Do you ever read Chick Lit? If so, what is it about this genre that you enjoy? 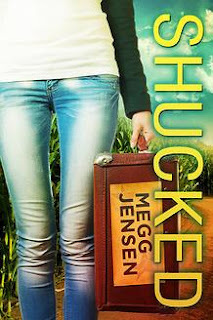 Chick Lit is just plain fun! It's a great escape for the reader. Sarra Cannon. She has such an effortless style. I love her muchly. Everywhere. At my desk on my iMac. On my iPad in cafes or libraries. In the car. In bed. Pretty much anywhere. A writer or an archaeologist. Oh wow! Hmmmm....well, it has to be a natural redhead. 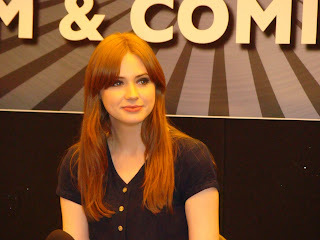 Karen Gillan (pictured) or Bonnie Wright. 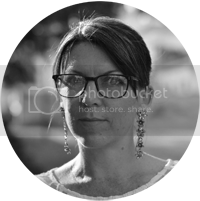 Megg Jensen has been a freelance parenting journalist since 2003 and began writing YA novels in 2009. She owns 80 Pages, Inc., is a PAL member of SCBWI, speaks frequently at conferences and small groups, while juggling freelancing, volunteering, and family life. She lives in the Chicago suburbs with her husband, two kids, and their two miniature schnauzers, Ace and Tanu.